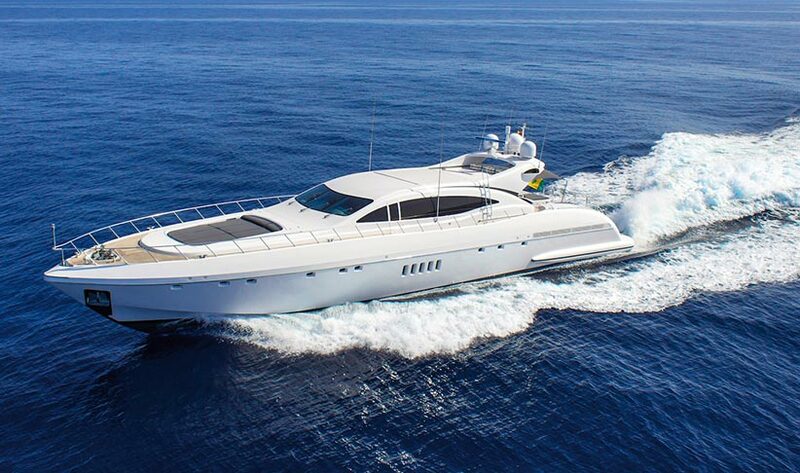 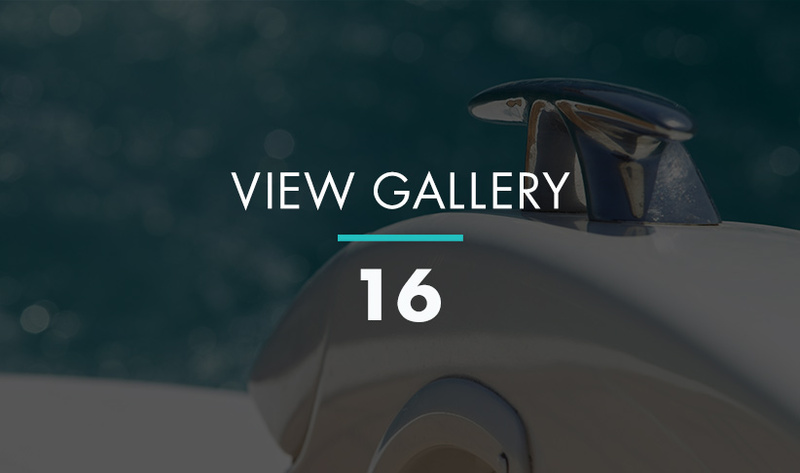 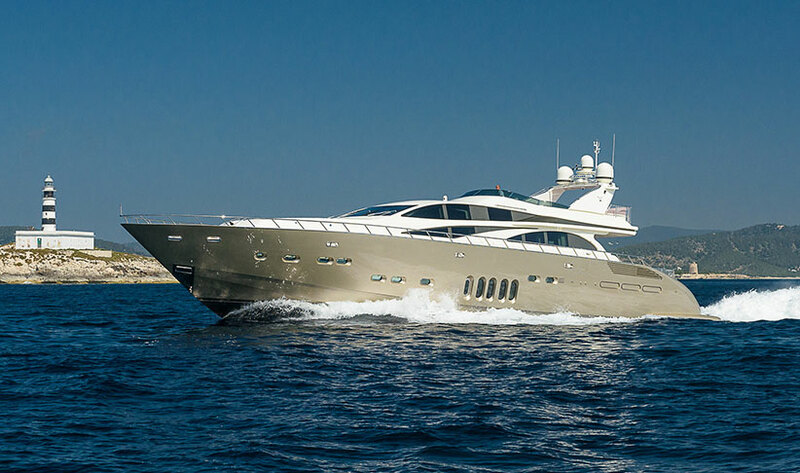 This Leopard 27m (89 feet) Open is a stunning example of this luxury Italian superyacht, completely refitted in 2015 and previously owned by Roman Abramovitch, the Chelsea football club owner. 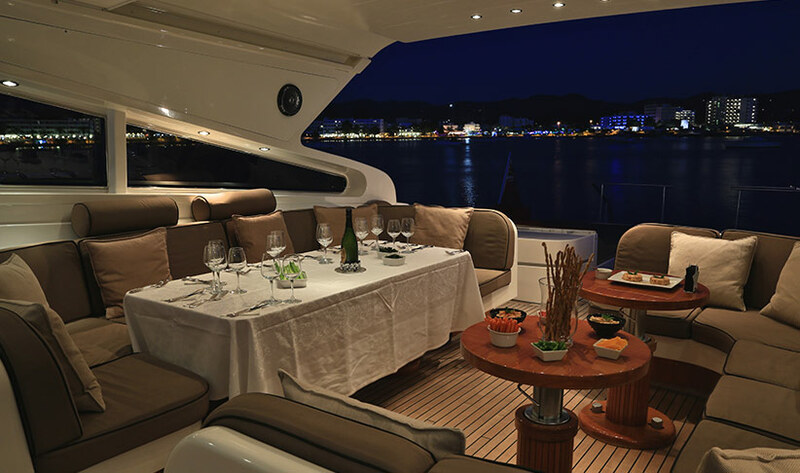 The open design makes the entertaining space feel huge and gives an abundance of seating for all the guests, with plenty of space to relax, or enjoy a small party on-board. 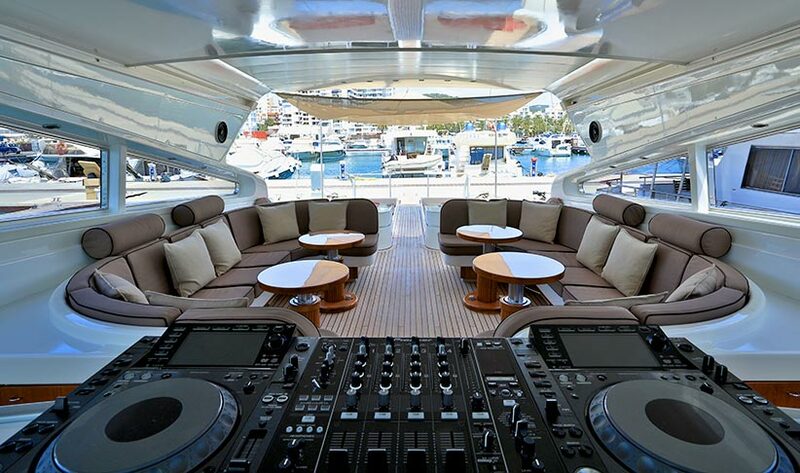 There's a well-stocked complimentary bar and also the option to have the CDJ2000 NEXUS decks and FUNKTION ONE speakers set up for your listening pleasure. 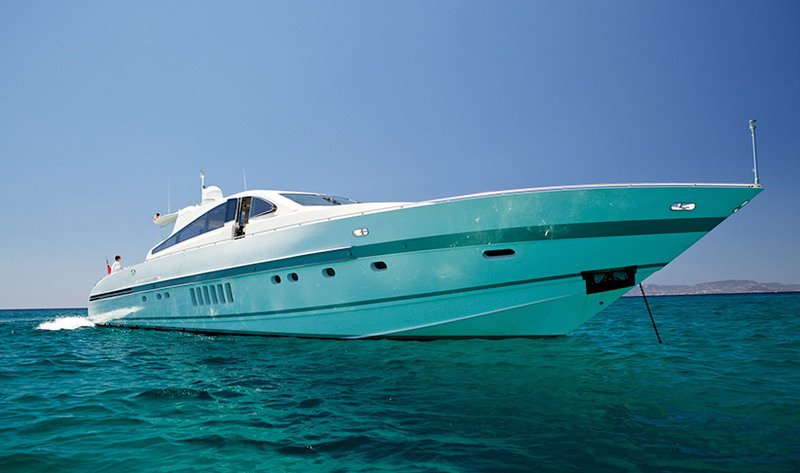 If you want to DJ yourself you are more than welcome or we can arrange a DJ for you - the island has a fair few to hand. 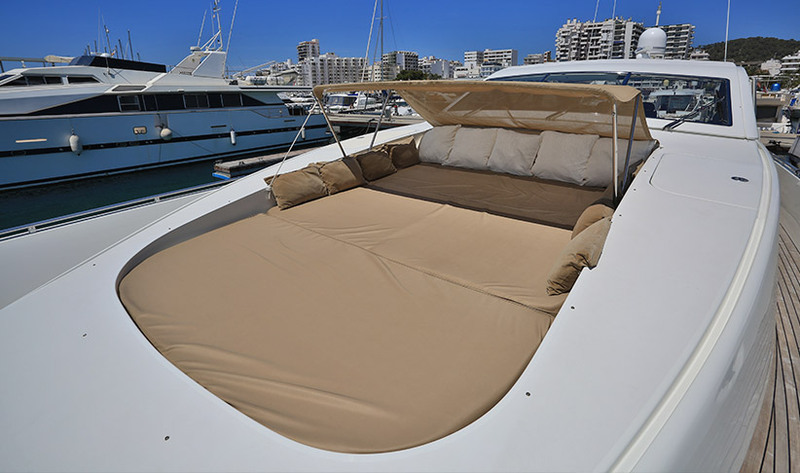 To the rear, there are two large sunbeds and in the main entertaining area, there are sofas left and right, with adjustable height tables for all entertaining options. 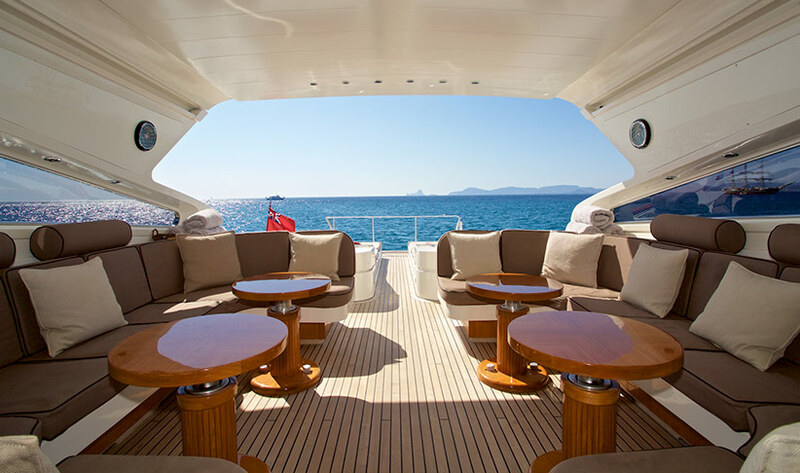 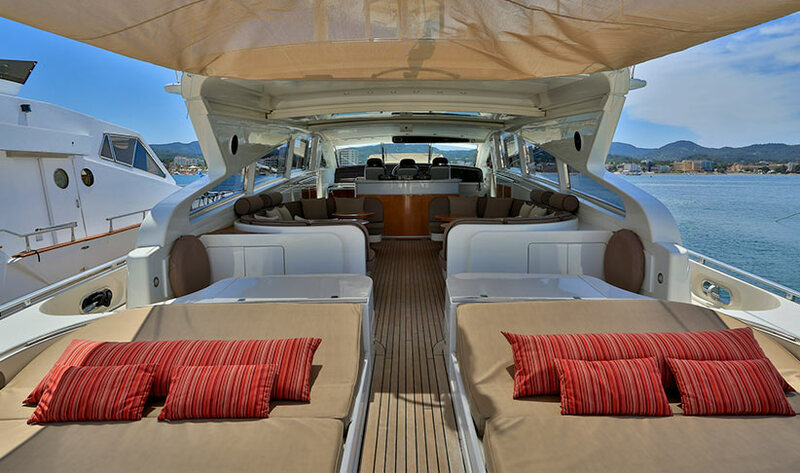 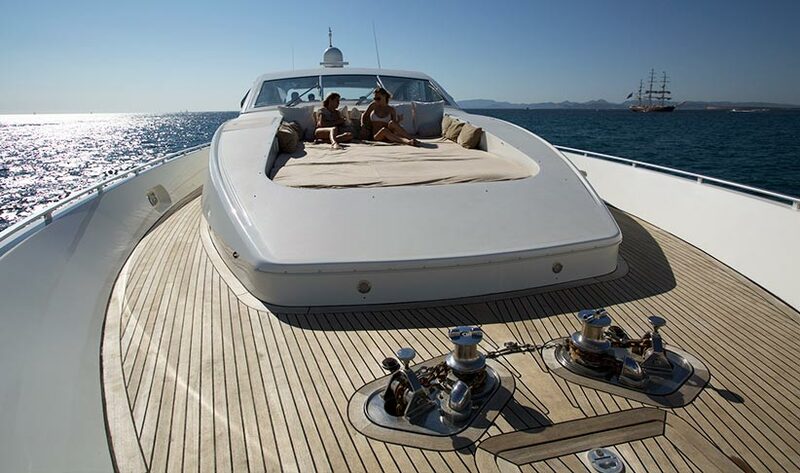 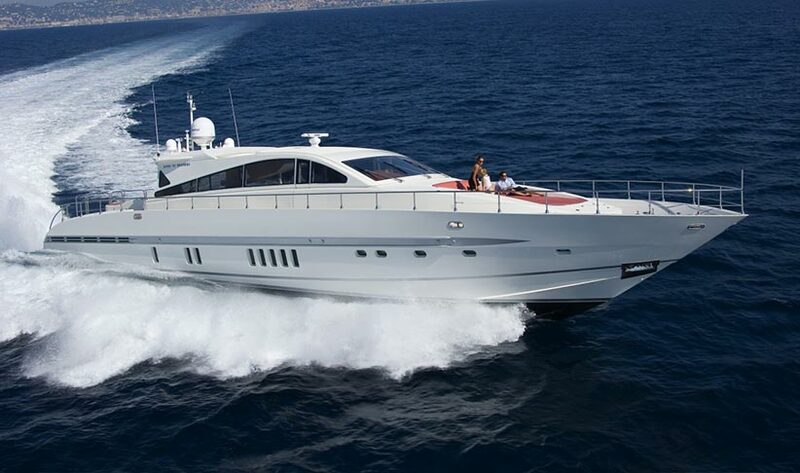 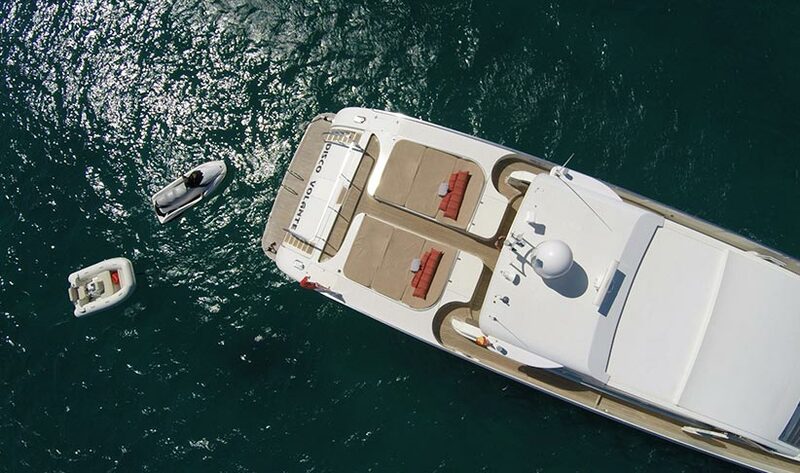 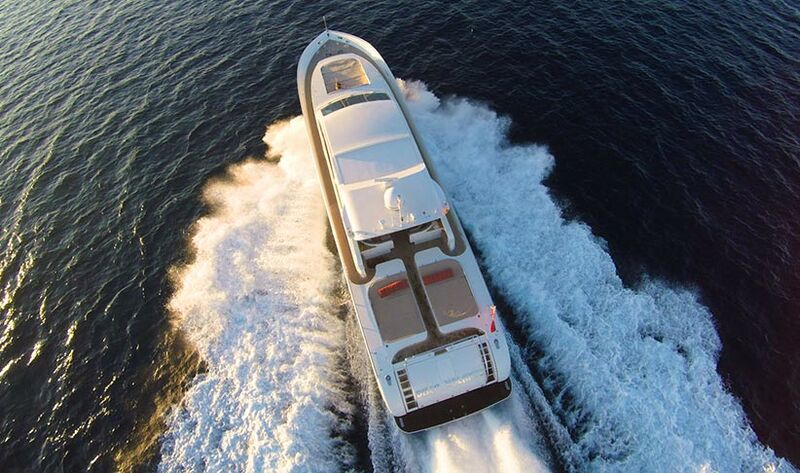 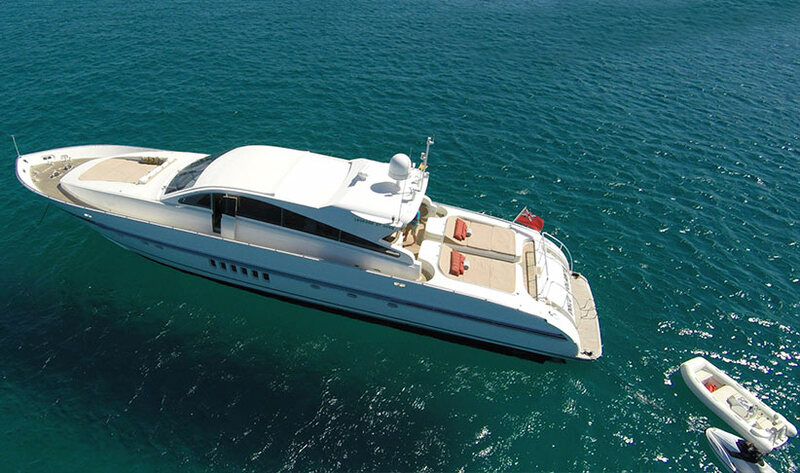 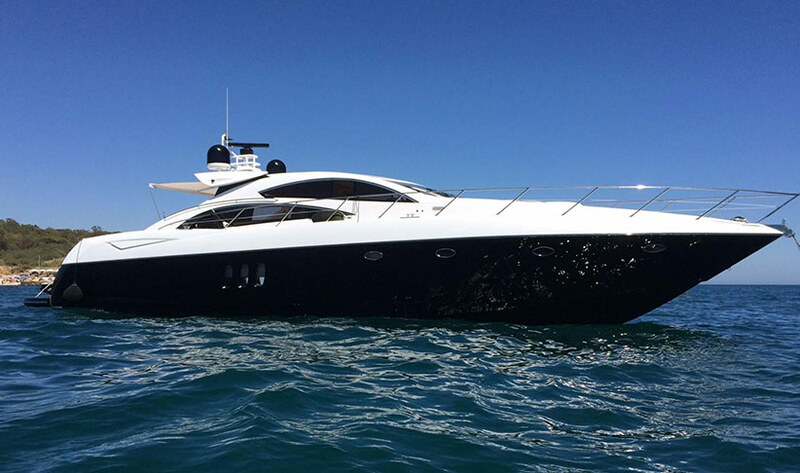 The front of the Leopard has a large, optionally covered at anchor, soft seating area. 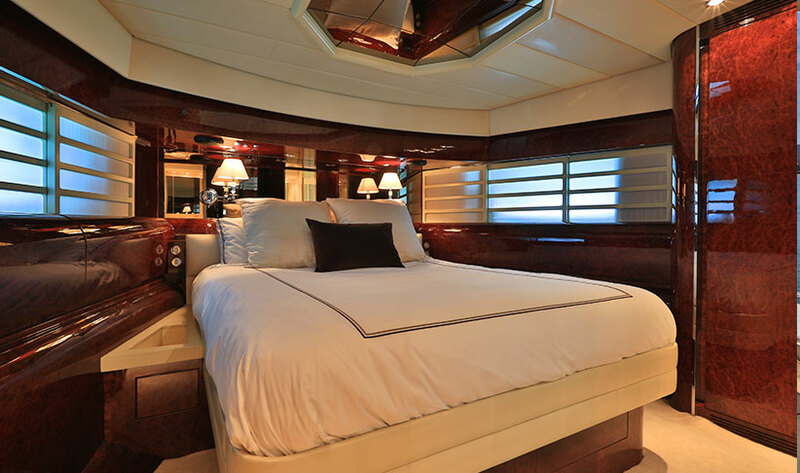 There are speakers throughout the boat. 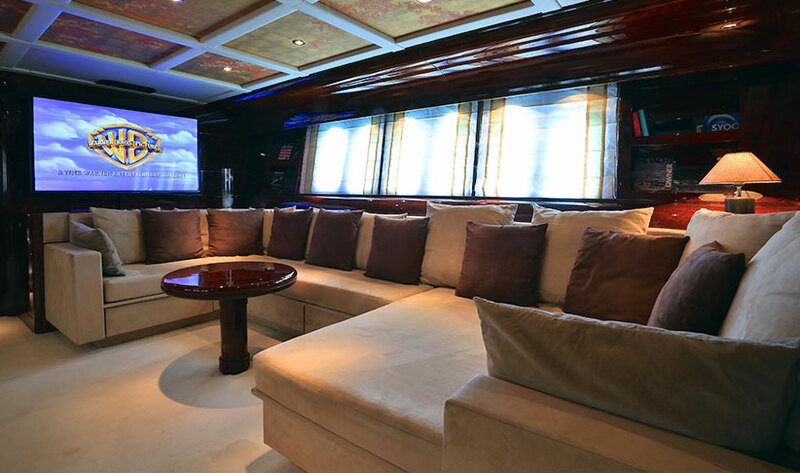 Downstairs there's 4 double en-suite cabins, separate crew accommodation, as well as a large lounge area with large screen TV and DVD. 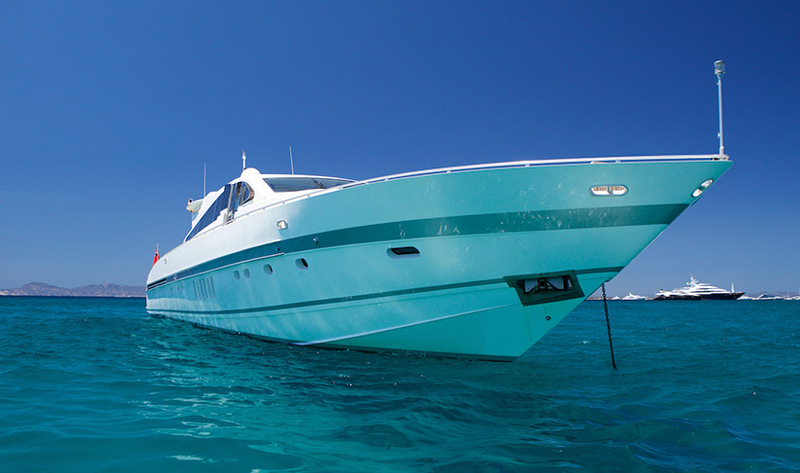 Off-boat activities include an array of watersports and seatoys including waterskiing, wakeboarding and four paddle surfs. 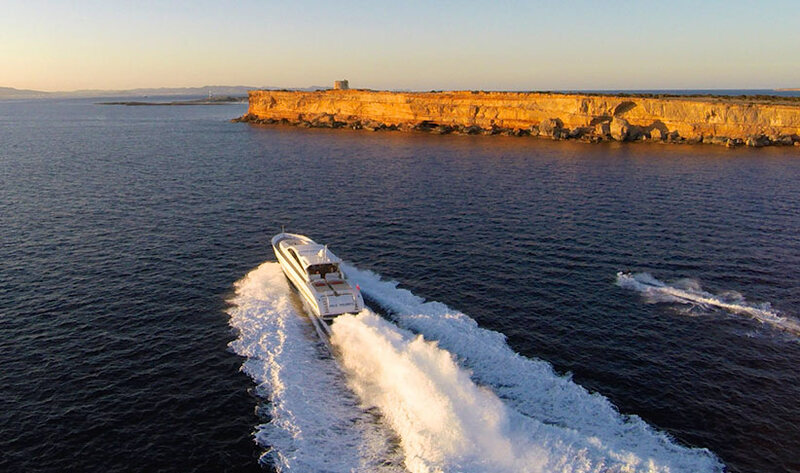 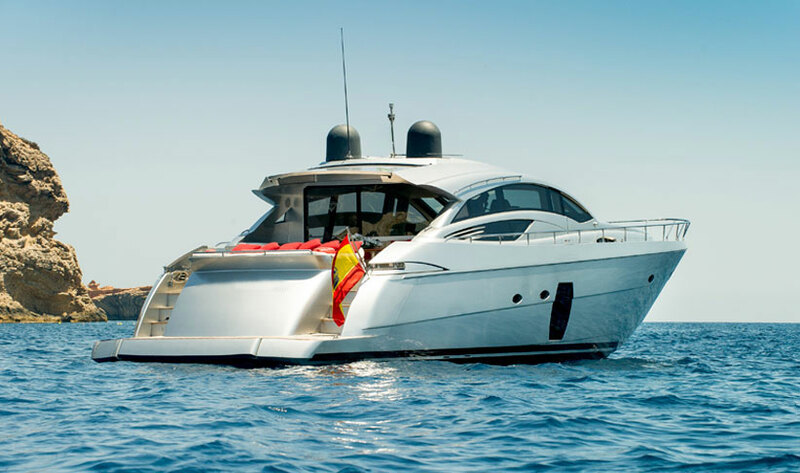 We can arrange for additional seatoys such as a seabob and for flyboarding and hoverboarding to meet you at your boat at a pre-arranged time. 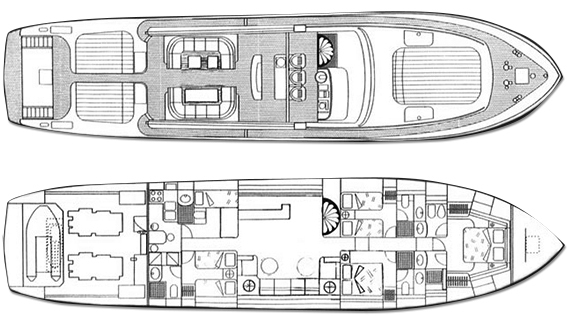 Although the maximum capacity is 12 guests, when stationary, the Leopard can host more people comfortably.